One of the prestigious institutions run by SAC, the Konkani Institute, perhaps stands out for its unique history and the track record it has registered in the development of Konkani language and literature, an Indo-Aryan language spoken by over 5 million people in India and written in five different scripts namely, Romi, Devanagari, Kannada, Perso-Arabic and Malayalam. Having and nurturing the Konkani Institute is like second nature to this great College (now autonomous), the seeds of this language being sown by Fr. Anjelo Savario Maffei SJ way back in 1878 when the first batch of Jesuits landed in Mangalore and started the St. Aloysius College in 1880. Amongst the first batchers was a young, shrewd and dynamic Jesuit, with a photographic memory and an eye for details of the surroundings, the natives, their culture and language, Fr. Anjelo Savario Maffei. Fr. Maffei was no linguist. Leave alone the local lingo, even English language was alien to him. Perhaps, he did not consider learning to read and write English as a challenge by any standards so he took up the study of the language of the locals very seriously and that language was Konkani! Within a short span of time Fr. Maffei not only learnt to speak Konkani but in 1882 he prepared a Konkani grammar handbook and got it printed too. Further he prepared a lexicon Konkani-English, English Konkani. So valuable was this work that the Government of erstwhile Madras got it printed at its own cost and in the year 1892, the revised edition of Konkani grammar was printed and published by the Codialbail Press. Konkani, a minority language, could not ask for a better deal and a better scholar than Fr. Maffei. Eventually, Fr. Maffei became the Rector and Principal of St. Aloysius College and kept the love of Konkani aflame. In the Centenary Year of the College, 1980, a unique gift was given to the Konkanis of Mangalore – The Konkani Institute of St.Aloysius College,thus giving a new lease of life to Konkani. Fr. Herbert Noronha SJ was the first Director of the Institute. 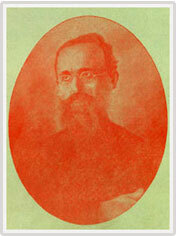 As the first step towards the propagation, development and preservation of the language an exclusive Konkani library was established (which has now grown to eight thousand plus volumes) and a bi-annual research journal named “Amar Konkani” was started under the expert editorship of (late) VJP Saldanha, a Konkani scholar, researcher and novelist par excellence. The journal was published in two scripts of Konkani, Kannada and Devanagari. This journal has now marched past its Golden Jubilee issue. The 4th of January 1992 is remembered as a milestone in the history of Konkani Institute. It was on this day that the Department of Konkani Studies was established in the College. Professor M.I. Savadathi, the Vice-Chancellor of the University of Mangalore gave the Inaugural address and the then Minister of Law, Government of Karnataka who presided made a promise that no stone will be left unturned to give the due status to Konkani. Perhaps, every Konkani shared this promise and sentiment for over a period of time and Konkani language rose like a Phoenix to such heights and dimensions that today it is on the VIII Schedule of the Constitution of India. In the year 1974 Konkani Bhasha Mandal, Karnataka was established under the Presidentship of (late) C.F. D’Costa (ChaFra). In the year 1975 the Sahitya Akademi, New Delhi recognized Konkani as an independent language. In the year 1992 Konkani was given its due place in the VIII Schedule of the Constitution of India. In the year 1994 the Karnataka Konkani Sahitya Academy was established in Mangalore, (late) VJP Saldanha being its first President. What started off as a one-year, four-module diploma course in the study of Konkani language, literature and culture culminated within a span of three years into a full fledged two-year Post Graduate Diploma Course which is thrown open to all Konkani enthusiasts, in India and overseas by nature of it being a ‘distant education’ (postal-correspondence) course. This was in the year 1997. The Institute offers students (and also interested public) the facility of a well-organized, reference library of books on Konkani and pertaining to Konkani and bound volumes of Konkani periodicals. October 29-30, 1994: Seminar on Konkani syntax. March 26, 2000: A glowing and sentimental tribute was offered to (late) VJP Saldanha, the first Editor of Amar Konkani, Konkani novelist, musician, dramatist, researcher in the presence of his wife Mrs. Lilly Saldanha and son Mr. Ransome Saldanha. The main speakers were Edwin JF D’Souza, Bennett Pinto and Maurice D’Sa. August 2, 2000: The First Convocation Ceremony of the Konkani Institute was held, when students were awarded the PGD in Konkani by the Vice-Chancellor of University of Goa, Mr. B.S. Sonde. The men behind this milestone achievement were Prof. Bennett Pinto, Fr. Prashanth Madtha SJ (Principal), Fr. Ralph Da Costa and Edwin JF D’Souza who prepared the major portion of the notes for the syllabi prescribed. December 17, 2003: The untimely demise of Prof. Bennett Pinto left the entire St. Aloysius College and especially the Konkani Institute stunned. Mrs. Loveena Pinto, widow of Bennett donated a handsome sum in memory of her beloved husband, to be utilized in memory annual Late Prof. Bennett Pinto lectures. One such was held on this date with Fr. Charles Vas, SVD, a classical music exponent being the main speaker. Presently, the proceeds from this corpus fund are utilized to award scholarships to deserving students taking up Konkani PGD studies. April 24, 2004: Fr. Sylvester Monteiro SJ Memorial lecture was held. Fr. Monteiro, a Konkani scholar, known for his Religious writings in Konkani, was a silent worker but a staunch supporter of the Institute and an encouragement to budding writers. February 22, 2006: Silver Jubilee celebrations of the Konkani Institute. A Souvenir, ‘Amar Dirvem’ was released on the occasion. January 20, 2008: Under the Executive Directorship of Edwin J F D’Souza, Konkani writer, faculty of the Institute and presently the Member of the General Council of the Sahitya Akademi, New Delhi, a Workshop on Translations was held in the AV Room of the College, in collaboration with The Konkani Writers’ Forum (R). Dr. Edward L. Nazareth, President of the Forum and Edwin were the resource persons. There were 50 participants who received Participation Certificates and notes on the subject. August 10, 2008: “AANJEL” the first ever Konkani novel in Kannada script penned by (late ) J.S.Alvares, published by the Konkani NatakSabha (R) Mangalore in 1950 (and never reprinted) was printed, published and released by the Konkani Institute during a program conducted by the Konkani Writers’ Forum and “Raknno” Weekly. 29 & 30 August 2009: “Workshop on Interstate & local synonyms in Konkani” conducted in collaboration with Sahitya Akademi, New Delhi. 29 November 2009: Workshop on The Three Facets of Konkani Creative Literature. 29 August 2010: Novel & Novelist – A symposium in collaboration with SahityaAkademi, New Delhi. 28 November 2010: A Konkani Literature Workshop – in collaboration with Konkani Sangatan, Udupi at Milagres College, Kalyanpur. 24 July 2012– Influx of radio, TV and Internet in Konkani Literature. 1st Year of Study – Comprises of four papers namely, History of Konkani Language, History of Konkani Literature, Konkani Poetry, Konkani Drama. 2nd Year of Study – Comprises of yet another four papers namely, Konkani Folklore, Literary Criticism, Linguistics, Comparative Literature and grammar. A choice of 40 Konkani related subjects to present a dissertation at the end of the 2nd year. 2nd Year Rs.1000/-.The fees include dispatch of notes, question papers, evaluation, marks cards and diploma. Fees of the 1st Year with the Registration fees are to be sent in advance.